After 180 years in business, Hermès has been at the center of some of the fashion’s biggest status symbols, from its It-bags to its coveted jewelry. We rounded up five little-known facts about Hermès jewelry that will surprise even some of the brand’s biggest fans! 1. The Clic Clac bracelet is not the official name of the iconic Hermès bracelet. While fans dubbed this Hermès enamel bracelet the Clic Clac, it’s actually named the Hermès H Bracelet. 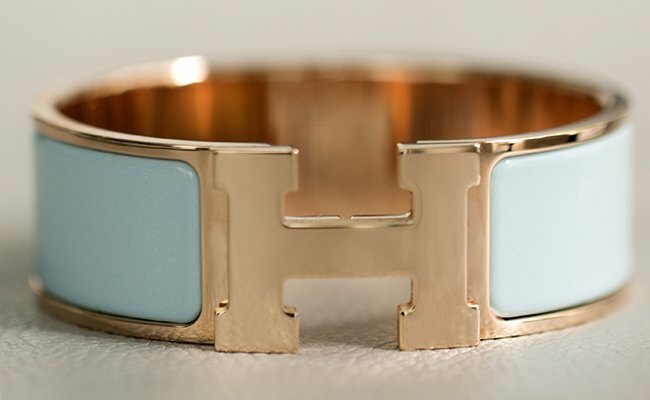 The Hermès H Bracelet prominently features the Hermès H as its clasp, flanked on either side by colored enamel. 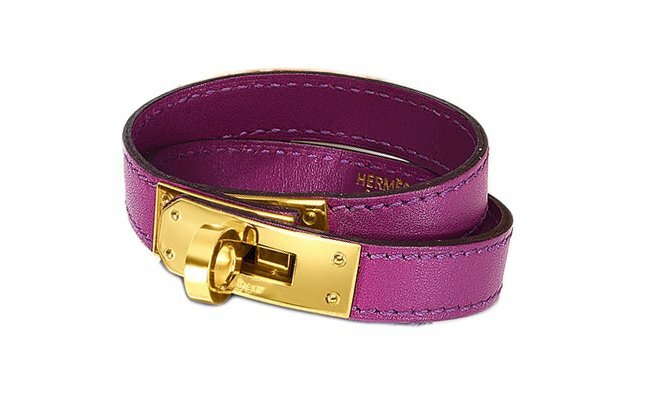 The Hermès H earned its moniker the Clic Clac bracelet because of the sound the bracelet makes when it’s taken on or off. The Hermès H Clic Clac is available in three sizes, in 100 enamel colors with three hardware options: silver, gold, and now rose gold. Hermès shoppers can pseudo-customize their H Bracelets which has spurred a sort of collect-them-all air around these fan-favorite bracelets. 2. Hermès began as a manufacturer of luxury goods… for horses. The founder of Hermès, Thierry Hermès, began his career in 1837 making horse harnesses for the European noble class. Hermès received critical praise for his craftsmanship and was awarded the first prize in its class at the 1855 and later the 1867 Expositions Universelles in Paris for his carriage bridles. From there Hermès production expanded to include saddles, saddle bags, golf jackets, and leather bags. In fact, it wasn’t until the mid-1950s that Hermès began designing and producing jewelry. 3. 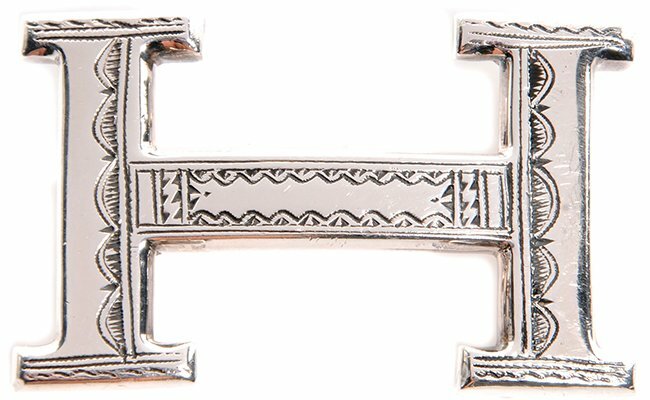 Hermès partnered with a nomadic African tribe to produce silver jewelry. The Tuareg people are a semi-nomadic tribe that live in northern Africa throughout Libya, Algeria, Niger and the Saharan desert. The tribe is particularly noted for their indigo blue-colored veils, worn by men that is believed to ward off evil spirits, and their traditional hand-crafted art. Tuareg art largely takes the form of silver jewelry, decorative saddles, and meter-long swords called takoba. In the early 1990s, a French tour guide and an art collector appealed to Hermès for aid to help the skilled Tuareg blacksmiths receive fair trade prices for their silver goods. 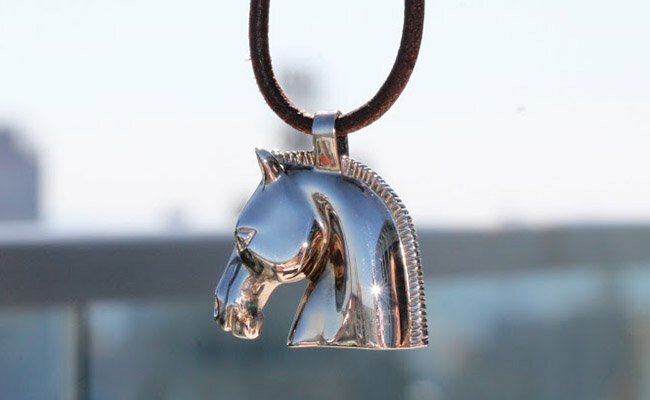 In turn, Hermès and the Tuareg tribesmen partnered to produce their silver jewelry. Hermès also incorporates the tribe’s traditional motifs into prints for Hermès scarves, ties and other goods. 4. Alfred Hitchcock can be credited for the popularity of the Hermès Kelly handbag and bracelet. Although the Hermès Kelly bag (or the Sac à Dépêches as it was first named) dates back to 1892, its popularity sky-rocketed in 1954, thanks, in part, to legendary film-maker Alfred Hitchcock. Hitchcock permitted costume designer Edith Head to purchase Hermès accessories to dress actress Grace Kelly for his film To Catch a Thief. It is rumored that Kelly immediately fell in love with the Hermès handbag and carried it off-screen as well. The style icon famously shielded her face from the photo-snapping paparazzi with her large Hermès bag while out with her new husband, Prince Rainier III. After the photo ran in Life magazine, the handbag was an immediate It-bag sensation and thereafter referred to as the Hermès Kelly bag. However, it wasn’t officially renamed by Hermès until 1977. Hermès would later release the Kelly Bracelet which was inspired by the famous bag’s closure. 5. Hermès jewelry has an elaborate stamped date code system. Hermès leather goods, including its jewelry and handbags, are all stamped with a series of letters and shapes to identify when the item was made. For instance, handbags stamped with an E inside of a circle were produced in 1976 and an R inside of a square was made in 2014. Beside the date code, there are additional stamps to trace back the artisan or shop that produced that specific Hermès leather good. Hermès was one of the first brands to adopt this stamped date code system. These stamps are known as blind stamps so they are embossed into the leather directly without color. They are also hand-stamped so the stamp will sometimes appear uneven or quite faint. The date code is especially helpful when evaluating the authenticity of an Hermès piece. And while these codes are easily found online, some counterfeiters are too haphazard to stamp the correct code. 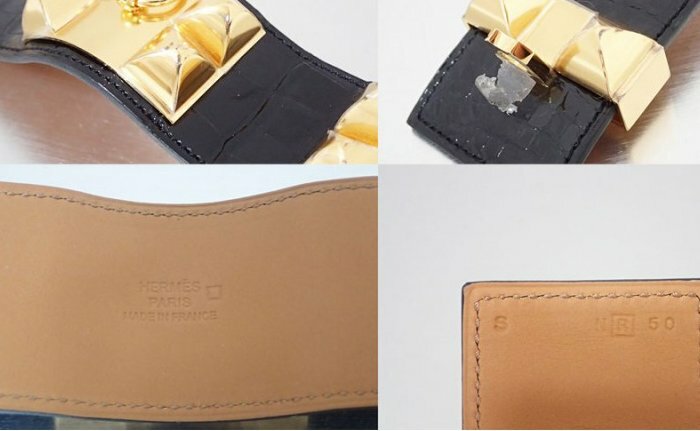 Therefore, when shopping for any pre-owned Hermès goods, cross-reference the date code and the product listing to ensure the stamps and the description align correctly.